At the start of the 19th century Felix von Lipowsky (1764-1842) was one of the first publishers of biographic encyclopaedias on Bavarian history. His encyclopaedia of artists and musicians offers a broad spectrum of information on Bavaria's history of art and culture, focusing on the early modern age. Felix Joseph Lipowsky was born in 1764 as the son of a Bavarian civil servant in Wiesensteig (district of Göppingen, Baden-Württemberg), which at the time in question was an enclave belonging to the electorate of Bavaria. From 1785 to 1787 Lipowsky studied law and consequently also history of law at the university of Ingolstadt. In 1788 he became teacher at the newly founded military academy in Munich, where he taught German history, strategy and warfare and military rules. From this position he went to the Bavarian court's council of war ("Hofkriegsrat") in 1791, where he was also entrusted with diplomatic missions from time to time. From 1799 onward Lipowsky worked for the newly established central government authority, the "Generallandesdirektion". There he took over several areas of responsibility in the administrative and military field. He was city commander of Munich several times. Lipowsky also played a role in the secularisation of the monasteries in 1803. After the abolition of the central authority of the "Landesdirektion" in 1808, Lipowsky was transferred to the commissariat general ("Generalkommissariat") of the Isar district assuming the office of a head of district council ("Kreisrat"). In 1819 the Bavarian states appointed him to the office of an archivist, in which he remained until 1837. Felix Joseph Lipowsky died in Munich in 1842 (not 1844). Lipowsky had been a member of the Bavarian Academy of Sciences since 1799. Since 1794 he had already published some works on historical topics every now and then. He had started publishing books in quick succession only in 1810, however. 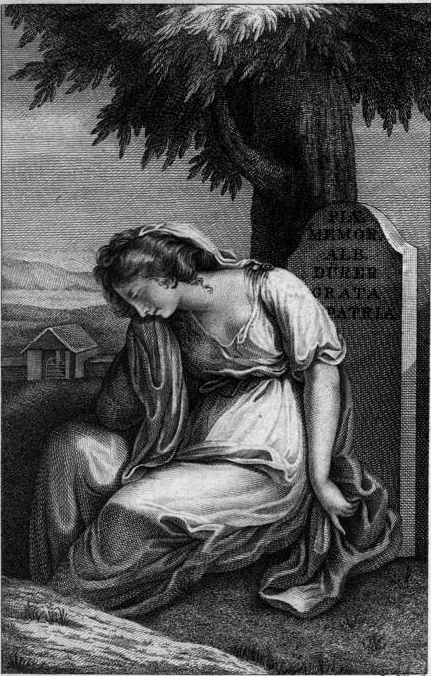 Among them are also his two encyclopaedias on Bavarian artists and musicians, published in 1810 and 1811 respectively. Besides the biographic reference works by Baader, they are among the earliest Bavarian encyclopaedias, containing data on a total of 2501 persons. Digitised title: Felix Joseph Lipowsky, Baierisches Künstler-Lexikon, Munich 1810. The work in two volumes was published in 1810 and contains biographic data of numerous artists. Geographically, the encyclopaedia covers the former kingdom of Bavaria, which comprised Bavaria's current state territory minus Lower Franconia, plus Vorarlberg (western Austria), Tyrol, the Salzburg region and the Inn region. In the first volume Lipowsky also added annexes with entries on Bavarian composers and a history of the "Buttaische Pinsel-Fabrik", a brush factory in Munich. The second volume contains an index of locations, as well as numerous supplements. Felix Joseph Lipowsky, Baierisches Musiker-Lexikon, Munich 1811. The encyclopaedia of musicians, published one year after the encyclopaedia of artists, is also the first of its kind for Bavaria. The geographic framework remained the same, for which reason composers are included also from places which belong to Austria today. As an appendix, the encyclopaedia of musicians contains a list of operas staged at the Munich court from 1657 to 1788. Also the reports about the importance of the monastery schools, which were closed around 1800, are noteworthy (see page 290 f.). The encyclopaedia is available in a full-text version. The search options furthermore include search for persons, locations, biographic data and fields of activity. Die einzelnen Personen wurden über die PND-Nummer der Personennamendatei und die SWD-ID der Schlagwortnormdatei der deutschen Bibliotheken eindeutig identifiziert. Damit kann nach Literatur von und über die erfassten Schriftsteller in den Katalogen der Bayerischen Staatsbibliothek, des Bibliotheksverbunds Bayern und der Deutschen Nationalbibliothek gesucht werden. The online publication of the biographic encyclopaedias by Felix Joseph Lipowsky was a project of the Munich Digitisation Centre. The encyclopaedia of artists has been accessible online since 2004, the encyclopaedia of musicians since 2005.